Make yourself at home in one of the 16 air-conditioned guestrooms. Complimentary wireless Internet access keeps you connected, and cable programming is available for your entertainment. Bathrooms have showers and complimentary toiletries. Conveniences include desks and blackout drapes/curtains, and housekeeping is provided daily. At ZEN Rooms Basic White Knights Dumaguete, enjoy a satisfying meal at the restaurant. Located in Dumaguete, 1.8 km from Robinsons Place Dumaguete, Worldview Pension Plaza offers amenities including a terrace and a shared lounge. 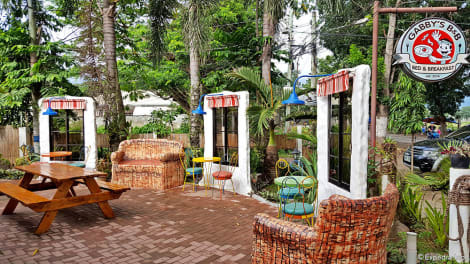 Around 500 metres from Dumaguete Belfry, the property is also close to Quezon Park. Dumaguete Cathedral is 500 metres from the hotel. The units at the hotel come with a seating area and a TV with cable channels. The rooms are equipped with a private bathroom. Guest rooms include a desk. An Asian breakfast is available each morning at Worldview Pension Plaza. At the accommodation you will find a restaurant serving Asian cuisine. Staff at the 24-hour front desk can provide tips on the area. Dumaguete Public Market is 600 metres from Worldview Pension Plaza, while Rizal Boulevard is 600 metres away. 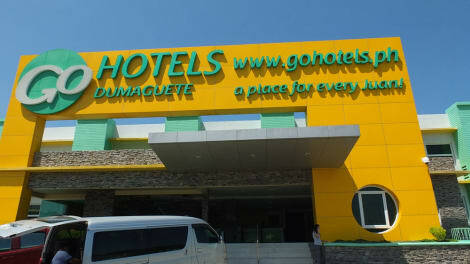 The nearest airport is Dumaguete Airport, 4.4 km from the property. With a stay at Check Inn Pension Arcade in Dumaguete, you'll be within a 5-minute walk of Bell Tower and Rizal Boulevard. 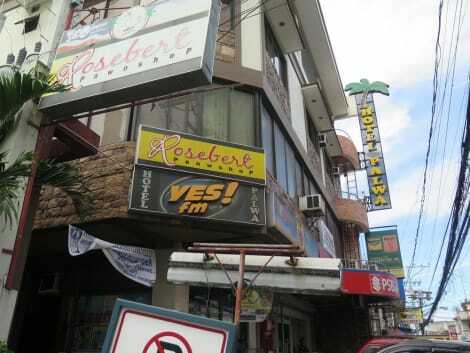 This hotel is 24.6 mi (39.6 km) from Sumilon Island and 32.3 mi (52 km) from Oslob Beach. Satisfy your appetite for lunch or dinner at Restaurant, a restaurant which specializes in Filipino cuisine, or stay in and take advantage of the room service (during limited hours). Cooked-to-order breakfasts are available daily from 6 AM to 10 AM for a fee. With a stay at Honeycomb Tourist Inn in Dumaguete, you'll be a 1-minute walk from Rizal Boulevard and 6 minutes by foot from Bell Tower. This hotel is 25.2 mi (40.6 km) from Sumilon Island and 0.6 mi (0.9 km) from Silliman University Main Campus. Make yourself at home in one of the 28 air-conditioned guestrooms. Complimentary wireless Internet access keeps you connected, and cable programming is available for your entertainment. Bathrooms with showers are provided. Conveniences include desks, housekeeping is provided daily, and rollaway/extra beds (surcharge) can be requested. Grab a bite from the grocery/convenience store serving guests of Golden Gate Suites. With a stay at Go Hotels Dumaguete in Dumaguete, you'll be a 4-minute walk from Robinsons Mall and 11 minutes by foot from St Catherine of Alexandria Cathedral. This hotel is 26.4 mi (42.5 km) from Sumilon Island and 0.6 mi (1 km) from Bell Tower. Featured amenities include a business center, complimentary newspapers in the lobby, and dry cleaning/laundry services. A roundtrip airport shuttle is complimentary (available 24 hours), and a ferry terminal shuttle is also provided at no charge. Featured amenities include dry cleaning/laundry services, a 24-hour front desk, and luggage storage. A shuttle from the airport to the hotel is complimentary (available on request). 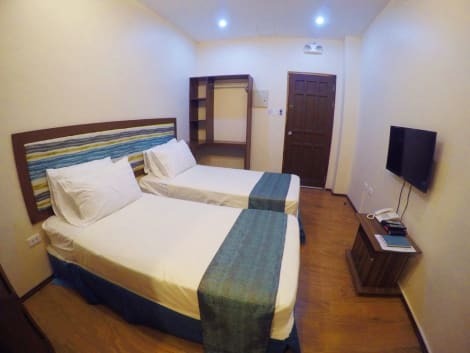 lastminute.com has a fantastic range of hotels in Dumaguete, with everything from cheap hotels to luxurious five star accommodation available. We like to live up to our last minute name so remember you can book any one of our excellent Dumaguete hotels up until midnight and stay the same night.